Tadaaaaa!!!! Here's my Mivva October Box! 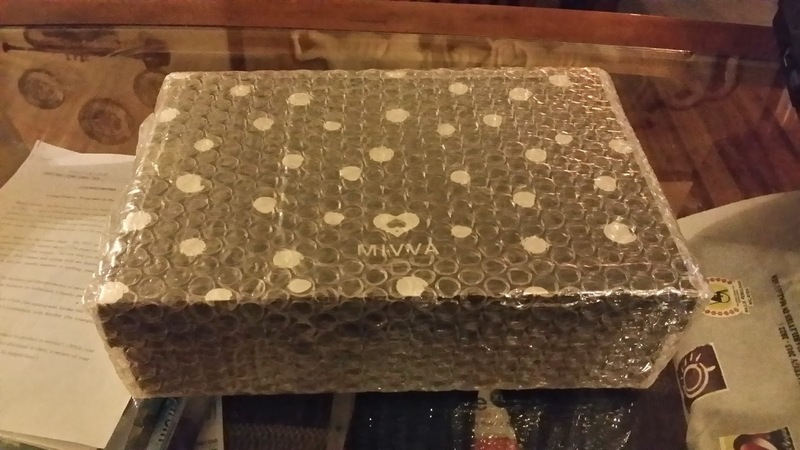 Every month , Mivva Surprises their customers with different themed boxes. 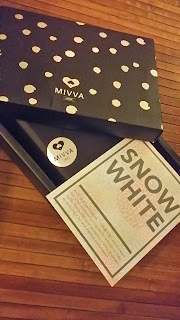 This month it was Snow White. 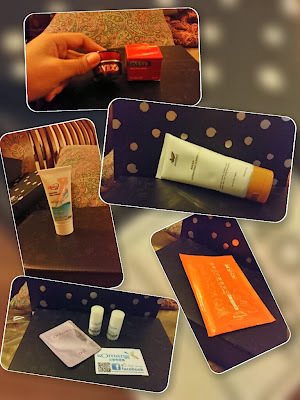 I usually don't use everything in a beauty box but this time I fell in love with each one of the products. Yes, I tried them on as soon as I got it. The introduction card came with a lil story which said that according to a Chinese saying, a fair complexion is powerful enough to hide faults and this is why asian women put extra emphasis on attaining a fair and flawless complexion. Do you girls agree with this? I received the full sized product for this one. It's ingredients are of organic argan oil and marine seaweed extract. It is free from Sulphate, Paraben, PEG and artificial coloring. This Thai Bird's nests mask is said to help restore and nourish ones skin. It also helps revilalize dull skin and accelerate cell metobolism resulting in younger looking skin. 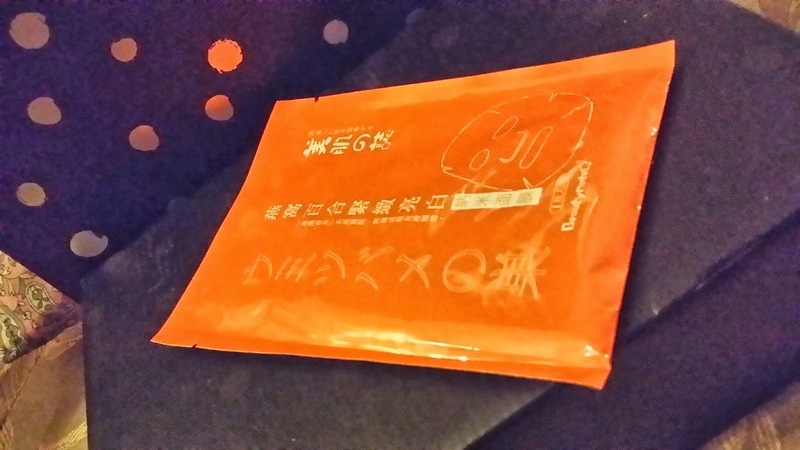 I received one mask. I tried it on already and the after effects of it is really satisfying. When I first took the mask out from its packet, it had a mild scent which was good because some mask has strong scent. * I dont like it like that :P* This one was pretty calming and it was cooling on my skin. I left it on for bout 15 minutes. Ignore my sleepy & tired face. But you see the results don't you? The effects? 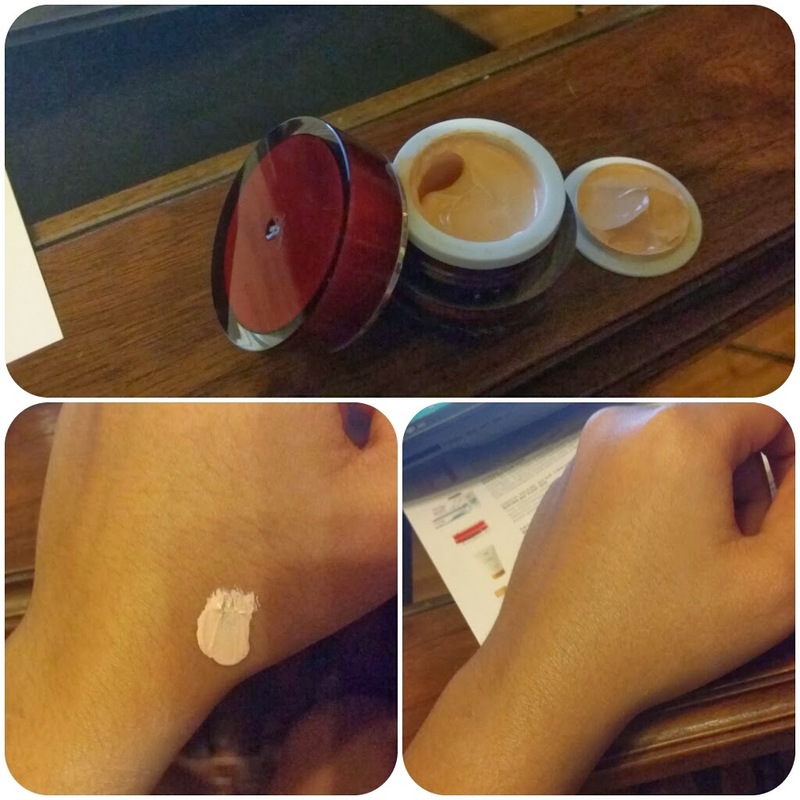 My skin feels soft and smooth and also pretty firm. I'm not sure if it'll reduce fine lines and wrinkles but maybe cuz I only used once. so yeah, but i think it's really worth it. 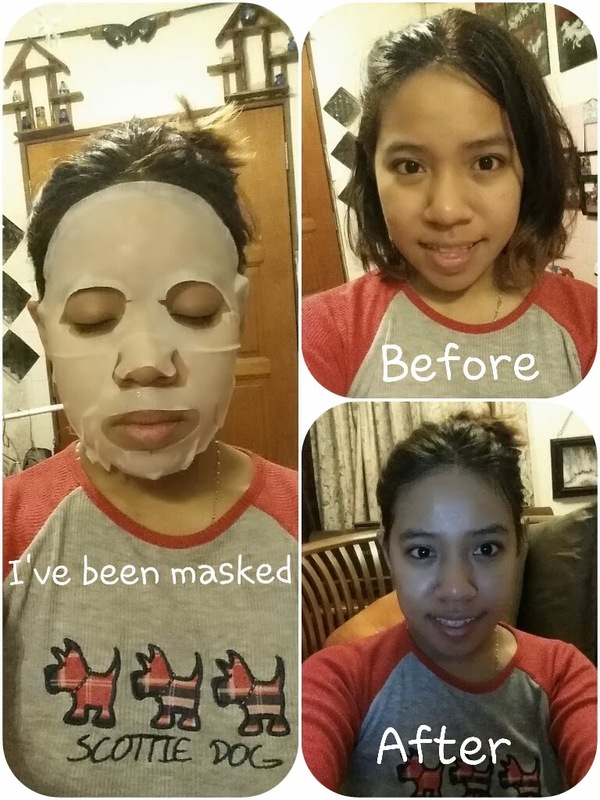 I love face masks and I've tried a few different ones that actually leaves my skin dry but this one did not. 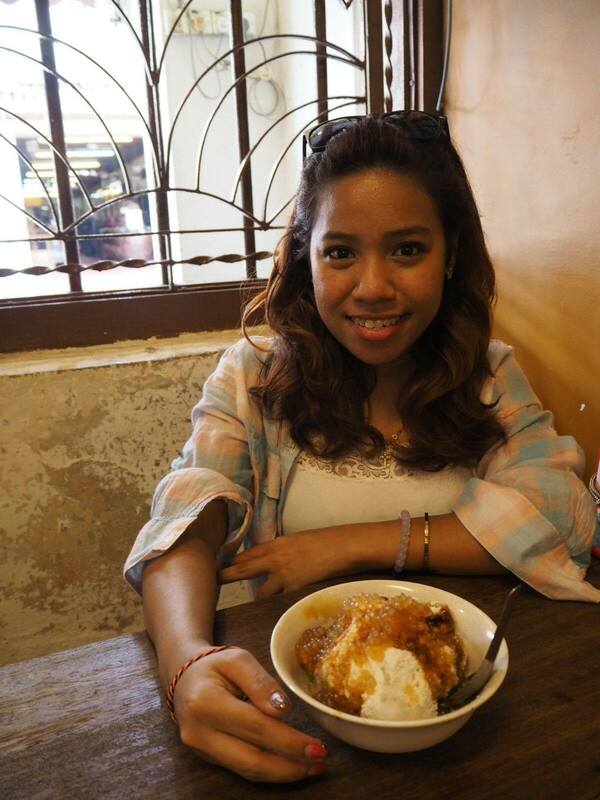 Thumbs up to Thai Bird's nests! 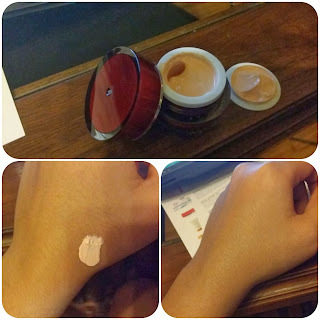 This pearl scar cream is said to correct existing dark spots, freckles, pigmentation, dark skin tone, blemishes, post acne scars, pimple marks and large open pores and prevents new ones from forming. 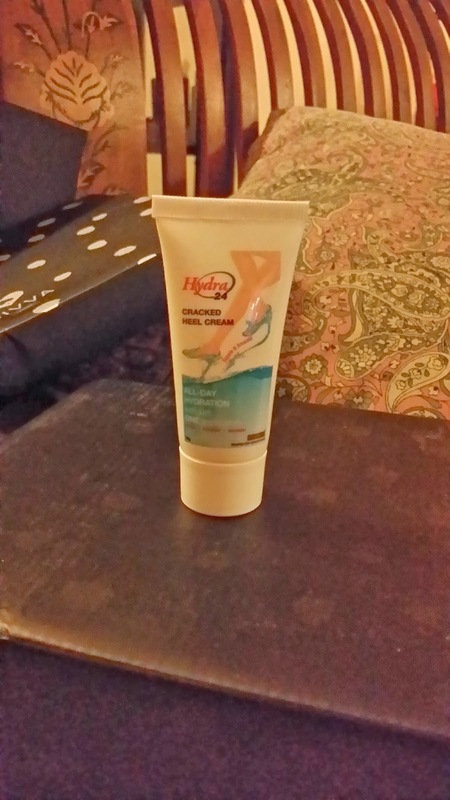 It's luminous hence it does not clog or leave your skin feeling flakey with this cream. I tried it on a couple of times but I think the results can only be seen after week or two, I'll try and if there is any difference I'll let you know kay?! ONL Ecopure White Balance Skin Toner and Emulsion. 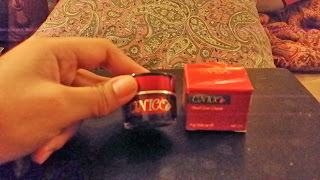 As you can see I received little samples of this product. 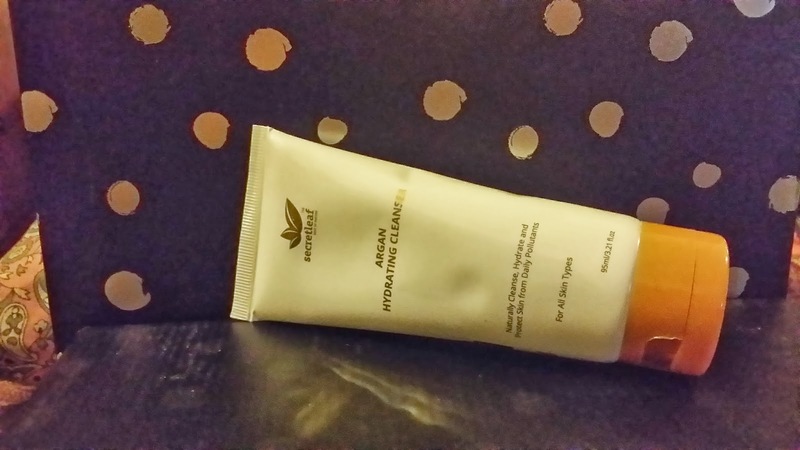 It's quite tiny but I think it's good enough to try it :) This pure natural recipe for mild yet powerful hydrating and glossy care contains nopal cactus and aqua-holder which helps brighten and whiten skin. It's suitable for people who want a brightening skin full of grain nutrients! Coolio! I'm still currently using HABA products but once I'm done I'll give it a try! Well, this product is the one in pink. Yes, That lil sachet. Sticky liposome technology for 3d volume elastic care. It's a TONER+ESSENCE+PRIMER+BB all in one! HOW COOL IS THAT!!! Oh oh and It immediately helps solve skincare+make up problems and brightens , cleans and purify the skin! I received 10g of sample for this product. I use it everything before I sleep and I absolutely love it. I've been using it for a week now and since I don't have severe cracked heels, this works pretty fast. A week and my heels feel so smooth. All-in-all, I'm pleased with this month's Box! Looking forward to the next box! Til we meet next time!